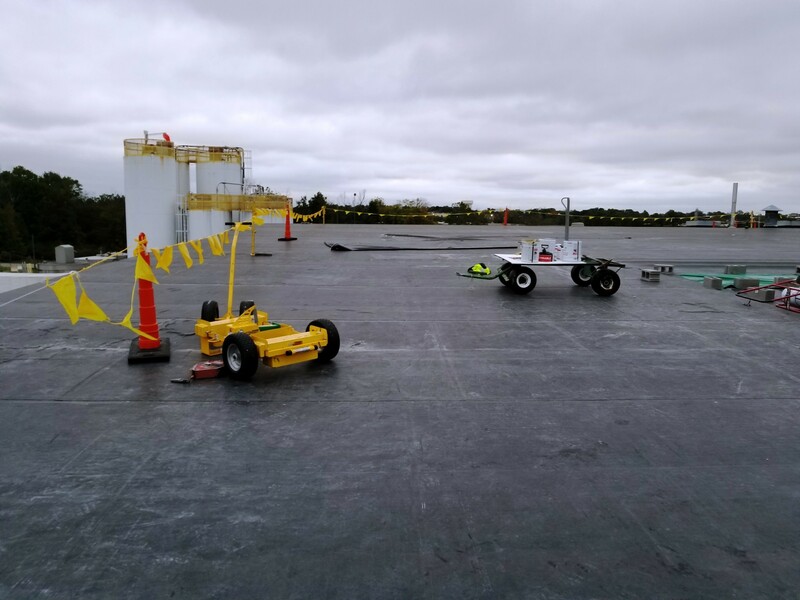 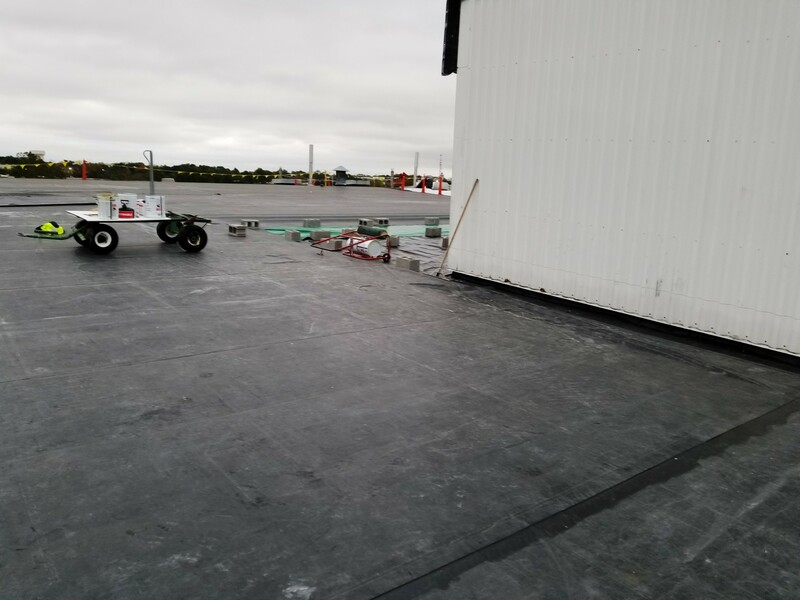 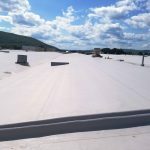 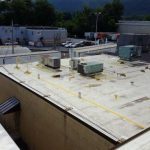 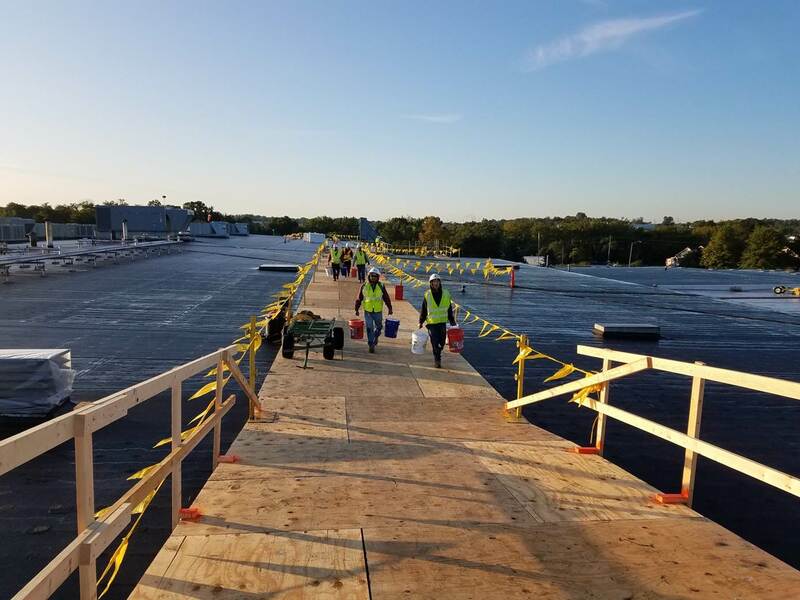 Kellogg Roof Areas C.1, C.4, D & E - Evans Roofing Company, Inc.Evans Roofing Company, Inc.
Project Info: Remove existing EPDM/standing seam metal roof down to deck, replace deteriorated deck with galvanized deck and install new EPDM roof system. 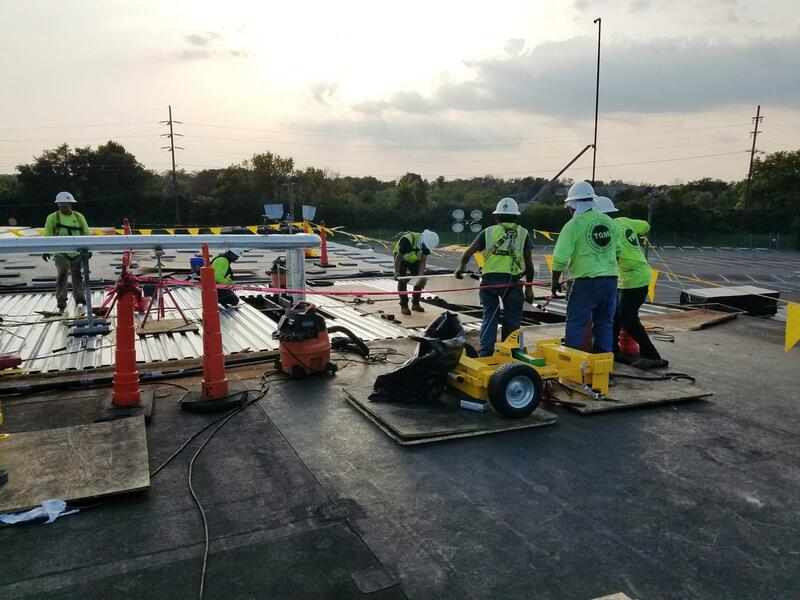 Challenges with a project of this complexity arise in the removal of the existing deck and the installation of the new galvanized metal deck. 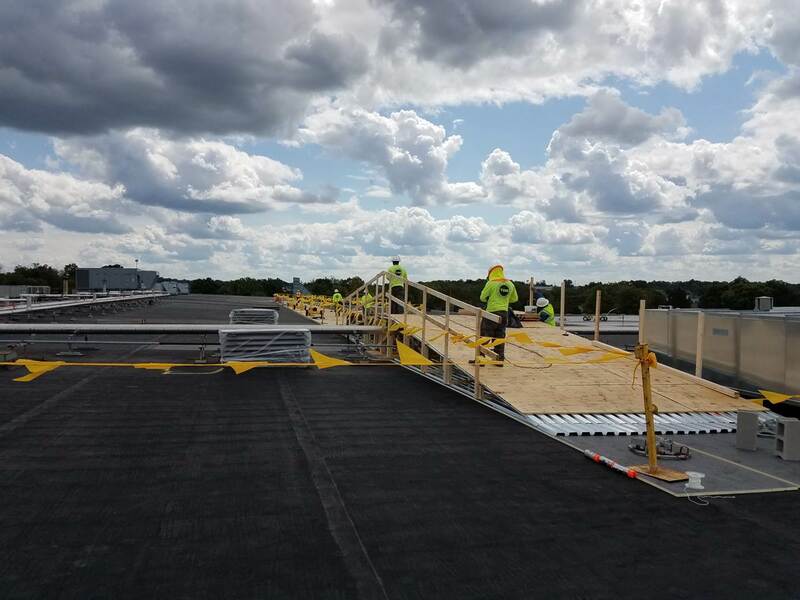 The new deck panels have a liner panel on the bottom which adds additional weight in turn making them harder to handle for our associates. 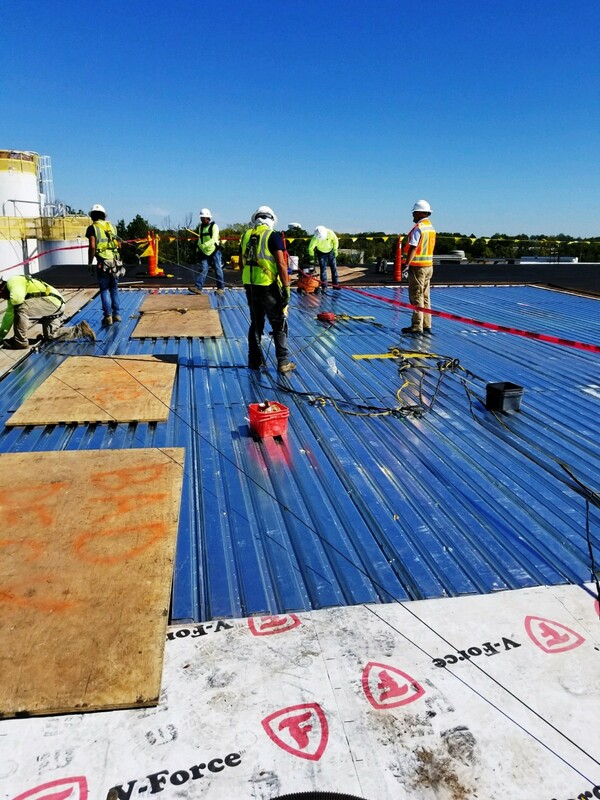 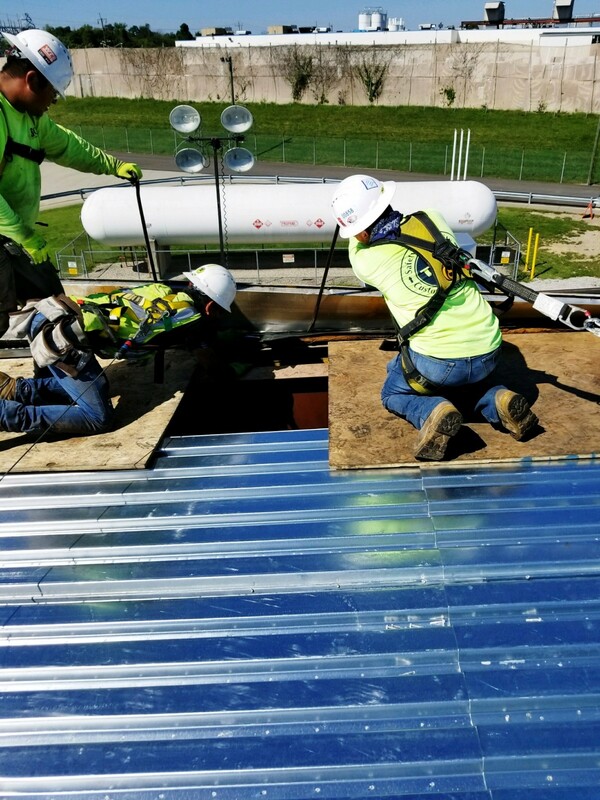 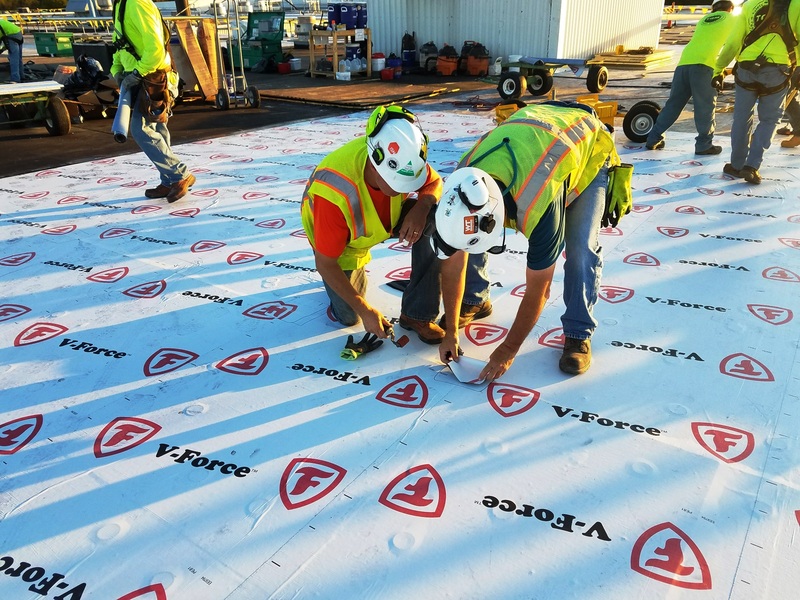 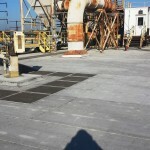 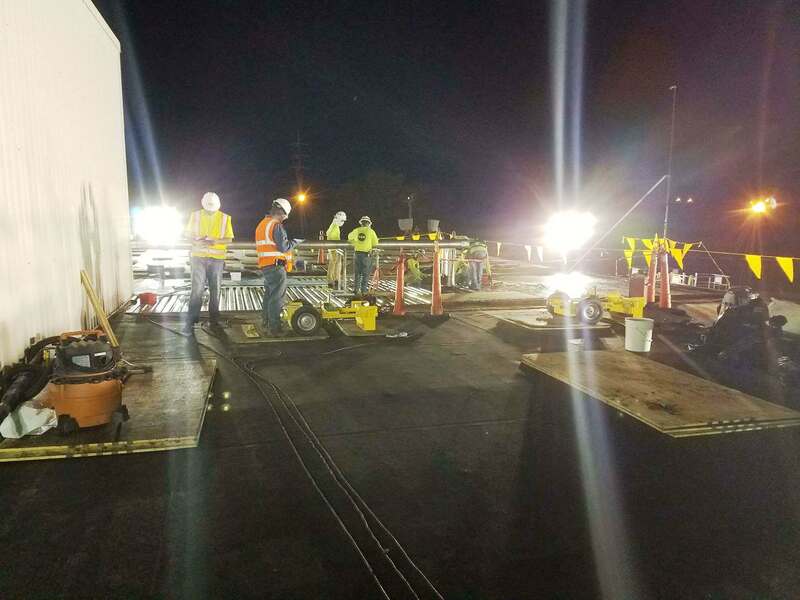 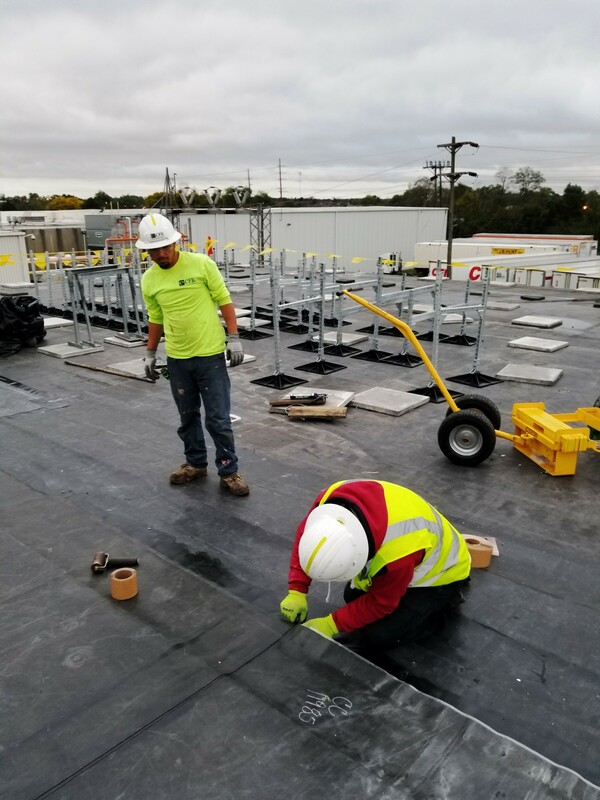 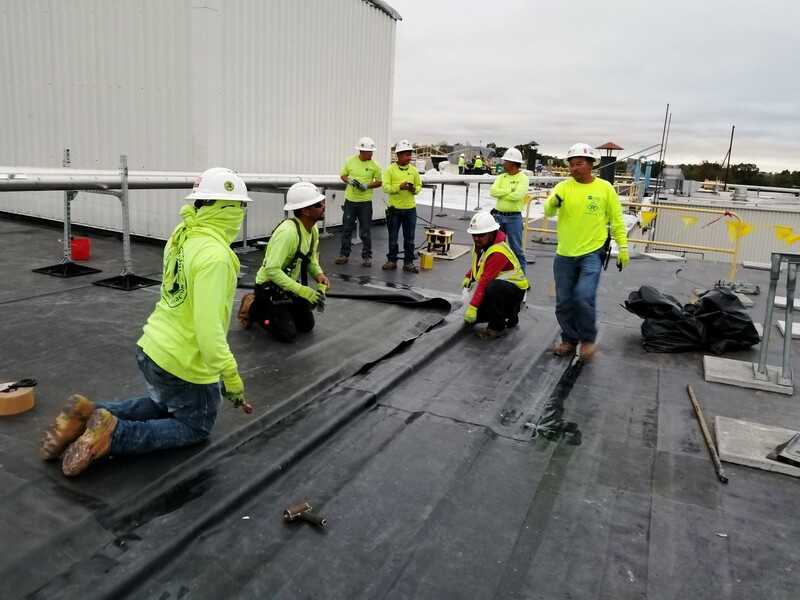 The exposure to falls with the deck open is also a challenge; making sure that all associates are completely tied off using fall arrest systems.